Every year in August and September, millions of American children return to their classrooms for the new academic year. Within weeks, the entire school community marks one of the most significant moments in American history: the terrorist attacks against the United States on September 11, 2001. Will schools’ service and remembrance projects of that tragic day knit together a community out of an increasingly religiously diverse country? Can education about Islam—and religion in general—move beyond platitudes on 9/11 toward a more robust education about the role of religion in social, political and cultural life? On the surface, the outlook for strong K-12 religious studies education is bleak. A cottage industry of Islamophobic organizations has hijacked public conversations about religion and education. 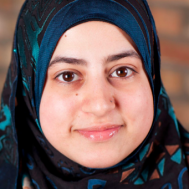 Anti-Muslim advocates aggressively litigate against schools accused of “Islamic indoctrination” or overly favorable coverage of Islam and Muslims. And too often our politicians and government officials only fan the flames of anti-Muslim bigotry, creating an epidemic of bullying that targets Muslim and Sikh students and an increase in Islamophobic rhetoric in public life. Amidst this toxic environment, is it possible to teach about Islam—or religion generally—in public schools? Yes. In fact, teaching about religion in public schools may be the most effective long-term strategy to combat bigotry against people of all religions and none. There is evidence that teaching about religion can decrease the ignorance and prejudice that fuel violence against religious minorities. One 2006 study found that students who completed a required high-school religious studies course in Modesto, California “were more likely to express their support for the extension of basic religious liberties to all religious groups.” Significantly, the study found that the religious studies course “did not contribute to religious relativism or encourage students to change their religious beliefs.” Given this evidence, a civic education that lacks First Amendment compliant religious studies curricula should deeply concern all Americans. If teaching about religion can effectively combat religious bigotry and prejudice, why don’t more schools prioritize education about religion? To answer this question, it is vital to understand at least part of the history of America’s longstanding debate about religion and education. After the historic U.S. Supreme Court cases of Engel v. Vitale (1962) and Abington School District v. Schempp (1963)—which struck down government-written prayers and school-sponsored Bible recitations in public schools—educators struggled to balance the rights of students to freely exercise their religion, the non-establishment of a religion by school officials and the academic importance of teaching about religion. Amidst the culture wars of the 1980s and 1990s, religious liberty and education advocates like Dr. Charles Haynes sought to provide safe harbor for teachers fearful of litigation by creating consensus statements related to religion and education. Signed by educators, administrators and religious and civil society organizations from across the political, religious and ideological spectrum, these consensus statements answer frequently asked questions about the religious freedom rights of teachers, students, parents and religious communities in public schools. In 2000, the U.S. Department of Education distributed five of these documents—including the popular reference, A Teacher’s Guide to Religion in the Public Schools—to every school in the nation. Despite Haynes and his colleagues’ efforts to protect religious liberty in schools, mainstream education organizations at the turn of the millennium paid little attention to the importance of the cultivation of religious literacy. After September 11, 2001, that situation changed. By 2007, two high-profile books by Stephen Prothero and Diane Moore called attention to the woeful state of religious literacy education. Their claims were backed by a 2010 study from the Pew Research Center, which found that Americans on average could only answer 50% of general knowledge questions about religion. That same year, the American Academy of Religion, the largest professional association for religious studies scholars, released guidelines for teaching about religion in schools. 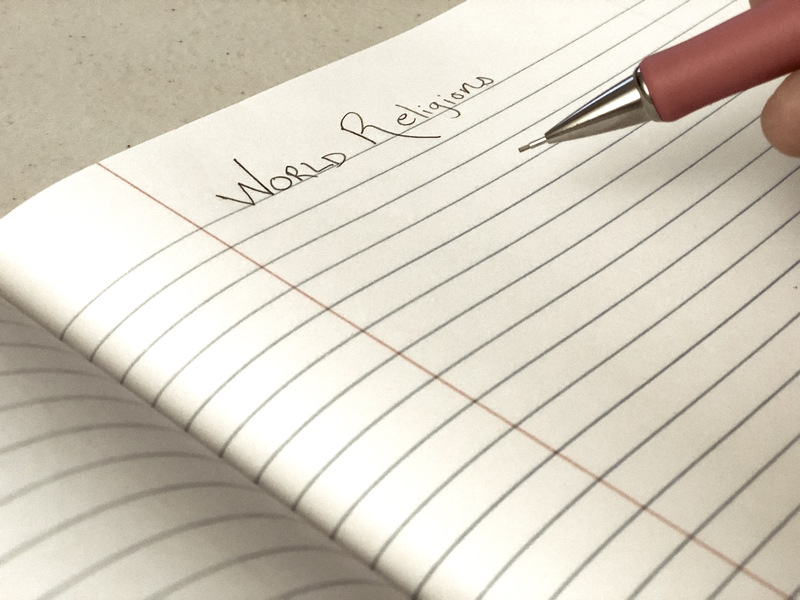 Education about religion began to trickle into public school curricula. Last year, the floodgates opened: The National Council for the Social Studies, the largest professional association of social studies educators, issued its official guideline for the academic study of religion in K-12 social studies instruction in their College, Career and Civic Life (C3) Framework. As the most widely used reference point for states developing social studies standards, the inclusion of religious studies in the C3 will have a profound effect on the social studies education landscape. Fortunately, a variety of training opportunities and curricular resources exist for schools and districts committed to implementing the best practices outlined in the C3. In recent years, educators and experts have written about tips, strategies and constitutionally appropriate ways to teach about religion in public schools. The Freedom Forum Institute’s Religious Freedom Center offers free, online professional development modules on religious studies for K-12 educators called Constitution2Classroom. Washington, D.C.-based Newseum—also supported by the Freedom Forum, a non-partisan foundation—offers case studies and lesson plans on First Amendment freedoms and Islam in America through NewseumEd. Organizations like the Tanenbaum Center for Interreligious Understanding have developed trainings and curricula for educators. Religiously affiliated organizations have also stepped up to meet the need for religious literacy training and classroom resources for educators. The California-based Islamic Networks Group launched the Interfaith Speakers Bureau in 2007 in part to “[f]ulfill the growing demand for education about world religions in public institutions.” The Hindu American Foundation and the Sikh Coalition both offer teachers training and classroom resources on their respective religious traditions. All three organizations—with expertise in Islam, Hinduism and Sikhism—are engaged in this work not only out of commitment to constitutional principles but also out of necessity due to the illiteracy and ignorance-fueled bullying faced by students of minority religious traditions. Religious literacy education should be of serious concern particularly for educators in religiously diverse districts as well as members of minority religious communities. Despite the challenges ahead for religious literacy advocates, there is reason for hope. Seventeen years after the 9/11 attacks, there is a marked difference in how families, communities and educators are thinking about the role of religion in public schools. Many religious and cultural centers are at the forefront of education efforts. The Islamic Center of Nashville hosts visiting students and educators for religious literacy sessions about Islam and Muslims. The International Museum of Muslim Cultures in Jackson, Mississippi provides local public school educators with resources based on its exhibit on the intellectual heritage of Islamic civilizations in West Africa, connecting these themes to the struggles for civil rights and human dignity in U.S. history. As more religious communities and educators explore ways to better equip students with a foundational education in religious studies, it is of critical importance that we build on the work of these trailblazers and take full advantage of the standards and guidelines that provide a constitutionally sound path forward. This post was co-authored by Usra Ghazi and Benjamin Marcus, the religious literacy specialist at the Freedom Forum Institute’s Religious Freedom Center. *Feature image courtesy of TIM Media.